← The “culture of innovation”: misnomer, oxymoron, myth or chimera? My previous post, “The “culture of innovation:” misnomer, oxymoron, myth or chimera?”, has caused a lively discussion in a number of LinkedIn groups. Approximately half of the commenters were sympathetic to my claim that the very term “culture of innovation” is more a distraction than an enabler in attempts to promote corporate innovation. The other half adhered to the point of view that the “cultural” aspect plays a central role in the organizational ability (or inability) to innovate. I’m very grateful to everyone who took the time to participate in the discussion. In this follow-up piece, I’d like to clarify and refine my position on the topic in response to the received feedback. First of all, let me clearly state that by no means do I deny the importance of the cultural aspect of business operations. People are people, and the way they feel and behave does affect the manner they conduct business transactions. My specific objection is to the expansive usage of the word “culture” in the context of innovation. Have you ever heard about a modern-day organization trying to establish a “culture of accounting”? No; organizations simply introduce solid accounting practices. Have you ever heard about an organization trying to establish a “culture of quality”? No; organizations adopt the Six Sigma methodology instead. Have you ever heard about “culture of sales”, “culture of marketing” or “culture of project management”? Nope. It’s only innovation that, in the mind of many, requires a “culture” to exist. Why? The reason—and I wrote about it before—is that we still don’t consider innovation a normal corporate process, on par with manufacturing, sales, marketing or talent management. 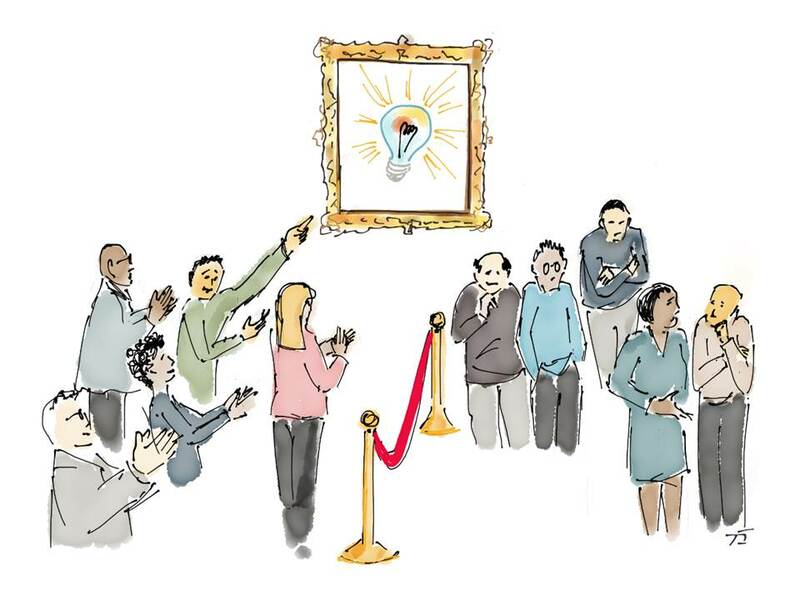 We’re still unsure what innovation is—a surprisingly large number of organizations even don’t have a working definition of what innovation means for them—and routinely equate it with occasional “idea generation” campaigns. We appoint Chief Innovation Officers, but give them neither line authority nor fixed budget (or a budget that can be promptly taken away in case of “emergency”). We don’t understands the difference between incremental, “adjacent” and radical innovation (a.k.a. the 3-Horizon Model of Innovation) and unfamiliar with the concept of Integrative Innovation Management. As a result, we believe that every innovation must be “disruptive,” while all other types of it are for losers. That’s why I insist that instead of making hollow calls to “unleash creativity,” “fail fast and often” and “celebrate failure”—all usual suspects in “establishing” the “culture of innovation”–we begin designing and implementing specific corporate policies that would help innovation take roots in organizations. That’s why I insist that a real corporate innovation begins not with “culture,” but with structure and process. With structure and process in place—and after years of running multiple and repeated innovation programs, while communicating their results to the rest of the organization—hopefully, a habit of innovation will emerge. And if you want to call this habit culture, fine with me. There is one more thing I’d like to emphasize strongly: the role of corporate leadership. Because nothing—and I want to repeat this, nothing—will happen in any organization aspiring to have real innovation without active personal involvement from the C-suite. Let me illustrate this point with a story. A few years ago, a large multi-national company invited me to an opening ceremony to celebrate the launch of a major open innovation initiative in one of its leading R&D divisions. I was to represent a company that was providing an online platform and consulting services for the initiative. By the expression of the young fellow’s face—and by the silence that suddenly filled the room—I realized that John’s message got across. A culture of open innovation was just born in this R&D location. This entry was posted in Innovation and tagged 3-Horizon Model of Innovation, Chief Innovation Officer, Culture of Innovation, Disruptive Innovation, Innovation, Innovation Management, Integrative Innovation Management, Open Innovation. Bookmark the permalink.